Allentown, Pa. - The SWB RailRiders (Triple-A/ New York Yankees) dropped Game One of their first round playoff series with the Lehigh Valley IronPigs, 6-5, in 12 innings. The IronPigs (1-0) grab a game advantage in the best-of-five set and have won six in a row against the RailRiders (0-1), including five straight at Coca-Cola Park. The IronPigs earned the walk-off victory when Carlos Tocci lined a bloop single to right off Tyler Jones that scored Angelo Mora from third. J.P. Feyereisen (0-1) shouldered the loss after walking back-to-back hitters with one away in the 12th before giving way to Jones. Pat Venditte (1-0) was the last of seven pitchers used by the IronPigs. He took home the win after pitching a scoreless top of the 12th. Billy McKinney belted a two-run homer to straightaway center in the second inning to give the RailRiders a 2-0 lead. SWB built a 5-1 advantage thanks to a solo shot by Miguel Andujar that towered over the bullpens beyond left. The IronPigs erased the four-run deficit by scoring four times in the sixth. Donovan Solano finished 3-for-5 with an RBI. Domingo German allowed five runs on six hits over 5.1 innings. He walked one and struck out two. Game Two of the series is set for Friday, September 8, at 7:05 p.m. Right-hander Chance Adams (11-5, 2.89) is scheduled to face left-hander Elniery Garcia (2-1, 1.47 - AA). The RailRiders return to PNC Field to host the IronPigs for Game Three (A) on Saturday, September 9 at 6:35 p.m. 2017 playoff tickets are on sale! The RailRiders will donate $1 for every playoff ticket purchased to Hurricane Harvey Relief. 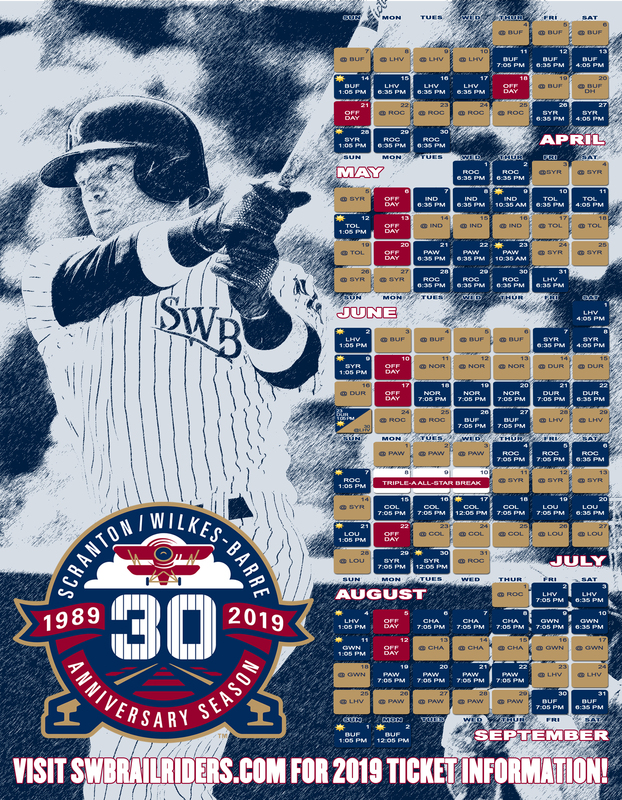 For tickets or more information, please call 570-969-BALL (2255) or visit swbrailriders.com.